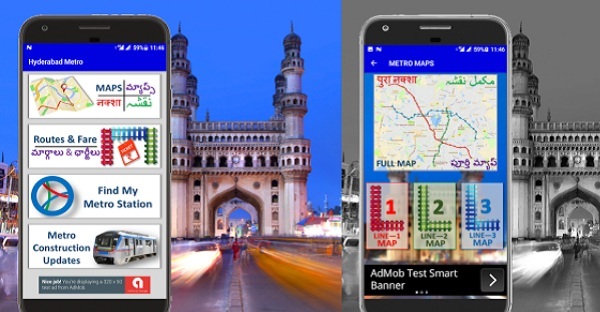 Hyderabad Metro Rail App: The Hyderabad Metro Rail Limited has launched Hyderabad Metro Rail App For All Android devices. 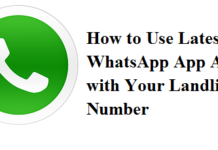 Users can download it by visiting the Google Play Store in their mobile phones. In the app, you can information about Hyderabad Metro Maps, Routes and Fare. You can also find the nearest metro station with the help of HMR App. It has been a long wait for the Telangana for the launch of Hyderabad Metro Rail. Finally, on November 28 the Telangana Chief Minister invited Indian Prime Minister Narendra Modi as the chief guest for the launch. At present, the Hyderabad Metro Rail is launched for only Phase 1. The officials are making arrangement to launch the remaining Phases in the near feature. Recently, the authorities have released Hyderabad Metro Rail Route Map Pdf on their official website. People can check the Station details and routes through the Map. Even before the metro launch, everyone was eager to know about Hyderabad Metro Rail Ticket Price Fares. Now with the Hyderabad Metro Rail App launch, they can get all these details. As of now, Hyderabad Metro Rail App is only available for Android devices. The authorities will soon release Hyderabad Metro Rail App for iOS devices also. Here we are also providing HMR App Apk file for the users. You can click on it and download it directly to your device. After successfully download, install the HMR App to enjoy its features. With the help of Hyderabad Metro Rail App, the users can get all the information on the metro rails without visiting the stations and be waiting in the long queue at the enquiry counter. In the below, we are provided simple steps to download the HMR App. At first, check your device is compatible or not. Then open the Google Play Store on your device. You must sign in your Google Play Store account. Now in the search bar enter Hyderabad Metro Rail. You will now see the Hyderabad Metro Rail App APK the screen. Before installing check whether your device has enough space to install. After successfully installing the Hyderabad Metro Rail App, it will appear on your mobile screen. Open it and check all the features. The users can follow the above steps to successfully download the HMR App in their android devices. Those who do not google play store in their mobile phones, no need to worry. We have also provided the HMR App APK file in the above section. Just click on it and download it to your smartphone. There are many Hyderabad Metro Rail Apps on the Google Play Store. So the users may get confused to find the official one. Therefore, we have uploaded some screenshots of the HMR App. By checking them you can find the official HMR App and download it.